While it seemed that Arsenal have given up on Yann M’Vila and other teams, like Tottenham and Zenit, moved in for the 22 year old French midfielder, the departure of Alex Song to Barcelona should mean that Arsene Wenger has renewed his interest in the defensive midfielder, with the transfer window soon coming to a close. Rennes aren’t causing a lot of problems regarding their most coveted player, who has been with the club since the age of 14, going up to the professional ranks in 2009 while going through all the stages of international youth football with France until getting his first taste with the senior team in 2010, since then capped 22 times for the national team. And while Tottenham seem to be interested in half the players mentioned in the transfer rumors columns and blogs, it only comes up after another club has already been linked with that player. Maybe it’s part of their MO, or maybe they’re not a big enough club to be mentioned first. M’Vila is on their shortlist, but their bigger concerns are landing a striker and coming up with an ending to the Luka Modric ordeal, still not settled. For Arsenal, replacing Song, just as finding a new player to contribute goals, from within or from outside, seems vital and clear. The 0-0 draw at home on opening day did start up some warning lights, although it’s never a good thing to panic so early because of a draw. Just look at Manchester United. Panic and lack of patience don’t help anyone at any stage. 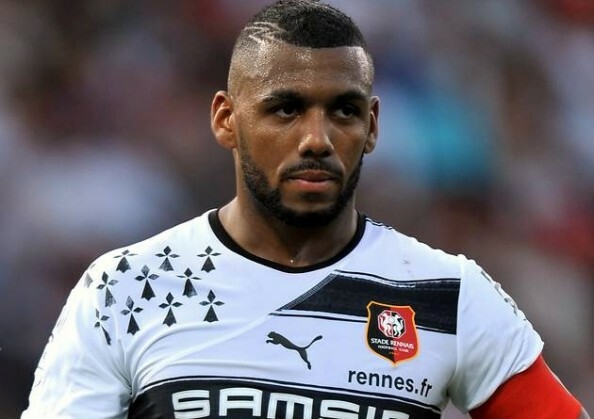 But when it comes to signings, M’Vila has been a target of theirs for quite sometime, long before Song even started dreaming of a move to Barcelona. Getting him now, for a fee of around £15-20 million would be ideal as (probably) Wenger’s final signing of the summer which saw his best player and possibly his most important midfielder taken away (well, actually sold) on the final days before the season began. M’Vila is a good player, don’t get me wrong, but he’s still a bit raw when it comes to decision making and his final touch when it comes to either passing or shooting. He reads the game very well and is great defensively, but isn’t a complete and 100% ready player to take over the Premier League just yet. Patience, even with expensive and talented players, is crucial.